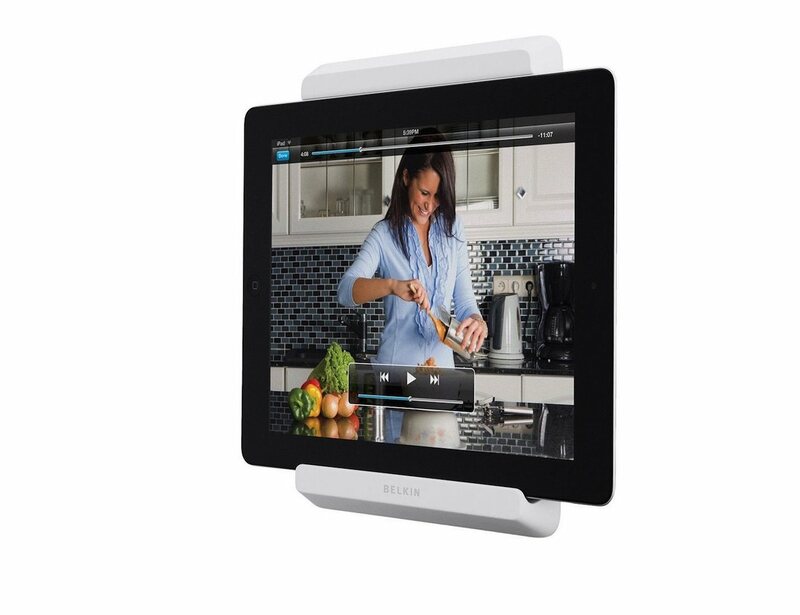 Keep your tablet in full view while you cook with the Belkin Fridge Mount for iPad. 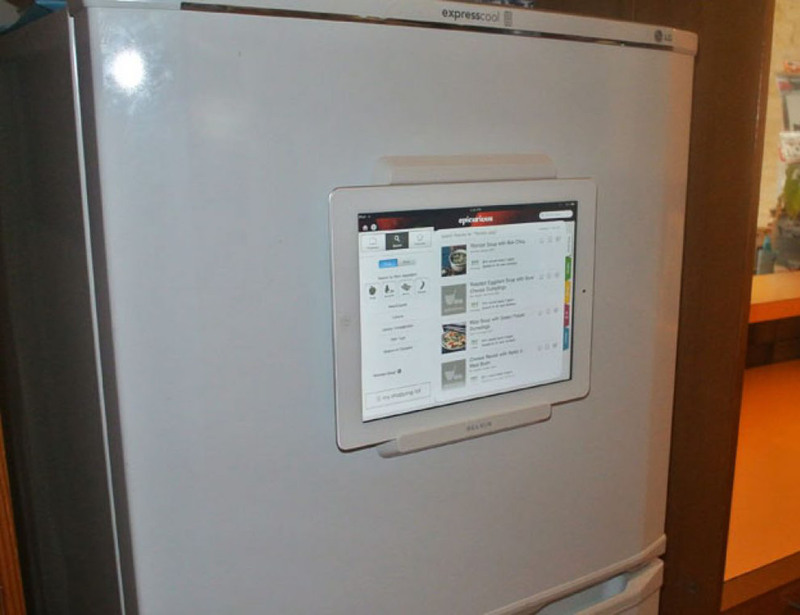 Through the power of 3M Command Strips, this nifty device can affix your iPad directly to the refrigerator. There’s also a built-in magnetic strip to snap onto the magnet of the iPad 2 to safely hold your tablet in place. Perfect for following recipes or watching a series, the Fridge Mount keeps your tablet at just the right height no matter what you need. 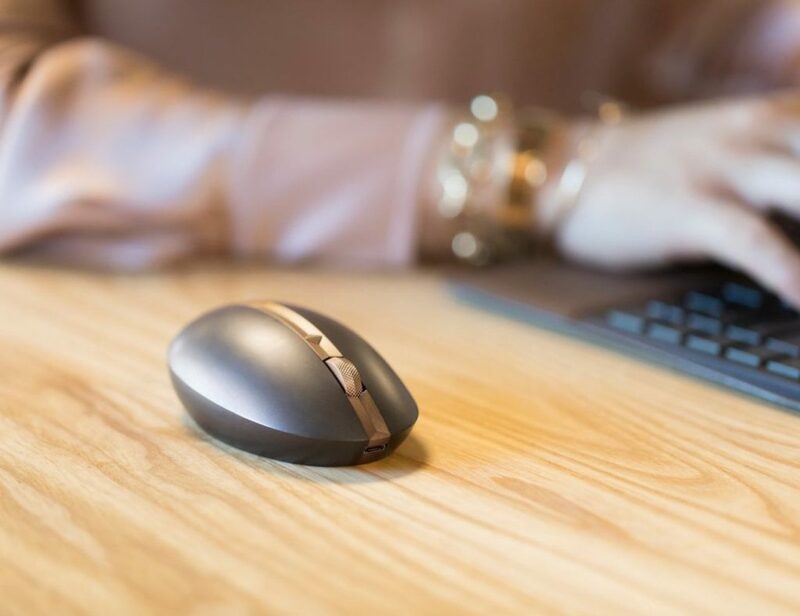 In addition, you can use the mount on any smooth vertical surface such as a wall or cabinets. When it’s time to take it down, the 3M Command Strips are easily removed without leaving behind any damage or residue. With no need for tools or permanent installation, the Fridge Mount is the perfect way to follow along to every recipe as you cook.